While the pundits are talking trade wars, Chinese officials are taking the latest US provocations in stride. Pressure on China's trade practices are not new. The US has been complaining about intellectual property violations since Bill Clinton was President. China's trade practices have also raised the ire or US and Europe, which has resulted in tens of dozens of anti-dumping action. 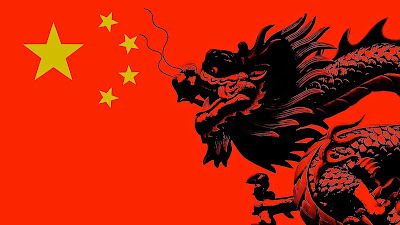 China's emergence on the world stage was always going to be disruptive. Even if it played by the rules, its sheer scale is daunting. By threatening the economic equivalent of "mutually assured destruction", the Trump Administration will likely win Chinese concessions. It seems that many of the concessions, like a better defense of intellectual property rights and a reduction of tariffs, are low hanging fruit, and actions Chinese officials were likely willing to make given their own domestic agenda. Chinese officials, like other foreign officials are trying to understand the Trump Administration as it represents a break from the past, and, America’s commitment to the multilateral trading system. Many of the Administration's trade officials got formative experience trying to open Japanese markets in the 1980s. So-called voluntary export restrictions and orderly market agreements (quotas) were used and to some extent were effective. Today, China launched an oil futures contract denominated in yuan. It is far too early to evaluate it. There are many obstacles for it to overcome, including inertia. However, even if it eventually is only used by China's large oil companies (PetroChina, Sinopec, and CNOOC) to hedge, it may have a critical mass that eluded Japan and Singapore's attempt to have a benchmark in Asia. Yet ideas that the contract would end the so-called petro-dollar (since a deal in the 1970s, OPEC has agreed to price oil in dollars) seems far-fetched. At the end of last week, it was announced that Bloomberg Barclay's Global Aggregate Bond Index will include Chinese government bonds and bonds of some of the policy banks. The inclusion will be phased in starting next April (2019). When the process is completed (it will take nearly two years), some 386 Chinese securities will be included. Chinese bonds will have nearly a 5.5% weighting in the index, putting it into fourth place behind the US, Europe, and Japanese issues. China's domestic bond market is roughly $7 trillion. Foreign ownership is estimated at about 2%. A year ago, Chinese officials granted foreign investors authority to hedge the currency exposure, and last July opened a Bond Connect program that made it easier for foreign investors to access the local bond market from Hong Kong. JP Morgan is reportedly considering adding China to its Government Bond Index-Emerging Markets Global Diversified. A decision is expected later this year. A year ago, Bloomberg Barclays launched modified versions of its benchmark to include Chinese bonds. Last July, Citi included Chinese domestic bonds to three of its emerging market and Asian indices. Over time, the inclusion in the benchmarks may see significant passive inflows into China of between $400-$500 bln, according to some estimates. Still, the near-term progress may be slow. Many investors are wary of the capital controls and some processes need to be worked out (e.g., settlement process of the Bond Connect). In some ways this mirrors MSCI's decision to include "A shares" in its Emerging Market Index starting in the middle of this year. Over time, more mainland shares will be included. Separately, there is much talk in China of trying to re-shore come listings, through China Depository Receipts (ostensibly work similarly to ADRs and GDRs, but aimed at Chinese companies with listing in HK, or London or the US). The IMF will publish its latest estimate (Q4 17) of currency reserves at the end of the week. Allocated reserves denominated in yuan are likely to have risen. The yuan appreciated by 2.25% against the dollar in Q4 17. This is more than the other reserve currencies moved against the dollar in Q4 17. Even no central banks added to its yuan reserves from the $107.9 bln held at the end of Q3, the currency valuation adjustment would lift it to over $110 bln. Despite some metrics making it look like China rivals the United States, like GDP at purchasing power parity, most observers recognize that the role of the yuan and Chinese markets are nowhere close to taking on the US. China still needs years go growth and development, and the multilateral trading system that the US was instrumental in creating works in it interest. Chinese officials are nothing if not pragmatic. They will be the concessions that are necessary to preserve and augment its place in the world economy. China is not defenseless in a trade war, but many observers trying to game out the extent of its weapons lack imagination. They focus on agriculture or some other products, like big-ticket item airplanes. Some see the exchange rate as a possible tool and others have given some thought to the reduced buying of Treasuries, or even their sales. However, many of these actions could hurt China. Instead, it behooves the US to think of other ways China could strike back without doing harm to its own agenda. Imagine China lending out or repo-ing its US Treasury holdings. Nevertheless, it seems as if Chinese officials are drawing the same insight as others are after Trump's first year in office: Resist when possible, make concessions when necessary, avoid antagonizing needlessly. There seems to be a general acceptance that Trump represents an anomaly--a vocal minority of the political and economic elite--who won control of the levers of state, but their hold on power is tenuous at best and could in any event be circumscribed by the November mid-term elections.